Mark Chatterly is a modern sculptor working in Williamston, MI. Mark earned a Master of Fine Arts from Michigan State University in 1981, and has collections across the United States and internationally. To read an artist's statement, and learn more about what drives Mark to create, visit his webpage. 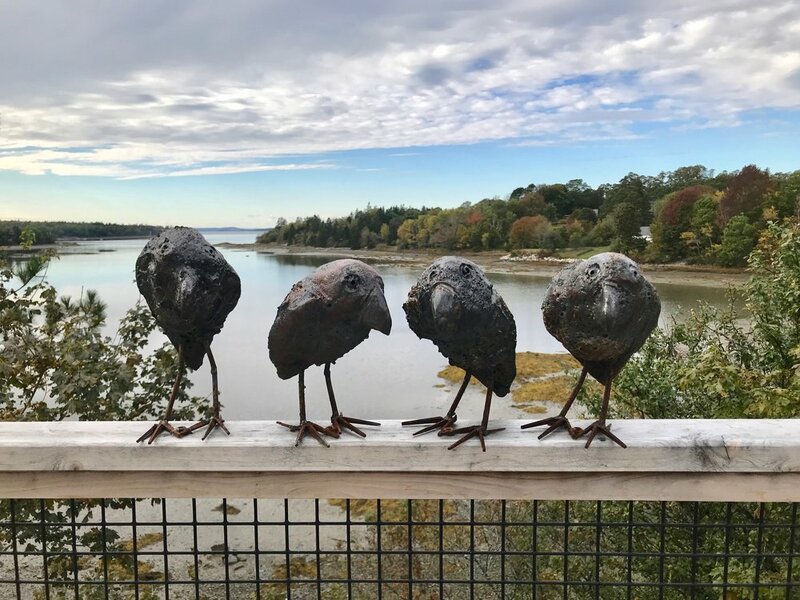 These crows are made of ceramic and steel. Each is one of a kind, with a personality all its own. $350.